As the name implies, this baby blanket is simply stunning. The body of the blanket is composed of alternating bands of two different stitches, and the broader bands in themselves have a variance thrown in for good measure. All this is surrounded by an intricate lace-like border. 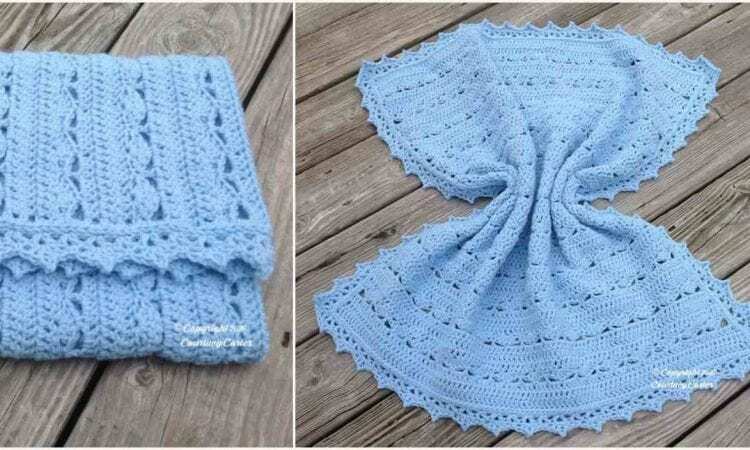 However, the actual pattern is easy to follow, and will be a great project for any crocheter, more detailed and finer for the beginner, but still an interesting choice for the more advanced. A link to the free pattern is at the end of the post.